Feng Shui wall art can be anything from an authentic Chinese painting, picture, tapestry, or wall hanging to a portrayal of a feng shui symbol. Another type of wall art that can assist you in creating a feng shui cure is created out of one of the five elements. When you first begin to explore pieces of wall art for your feng shui décor you'll probably turn to websites that carry the most common selections of feng shui cures and remedies. While these can be fun, they aren't your only choices. 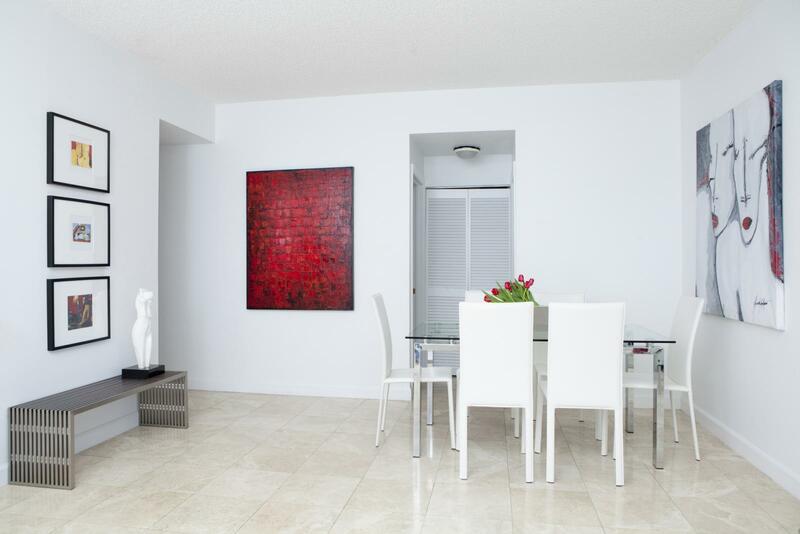 As with any art, select wall art that appeals to you and really touches you on an emotional level. If you buy a pair of mandarin duck prints just to frame and place over each of your nightstands without even liking the pieces, you're in effect setting up negative energy. Intent and desire are just as important as the goal of feng shui in order to create the ultimate harmonious room design. There are many types of wall art from which you can choose. One of the best ways to narrow your choices is to consider the element you need to add to your room. For example, if your den is in the north sector, but the water element is weak, then you can add either a painting or photo of a water scene or opt for wall art that is made out of metal since metal attracts water. One of the most commonly used symbols of wealth, especially by savvy business people, is the wealth ship, which was inspired by ancient merchant ships. Wealth ship wall art should be mounted on your wall so it is sailing into your home, never away. Most wall art of this type is a high-relief style and has places where you can add various Chinese coins, gemstones, gold ingots, and other symbols of wealth as though loading cargo onto your ship. Most wealth ships are gold in color to symbolize this metal of great wealth. The carp, better known as the Koi fish, is another symbol of wealth and good fortune. While most people are accustomed to seeing these in aquariums or ornamental ponds, there's no reason you can't use this symbol in wall art. A silk folding screen designed for the wall makes an excellent choice of high-design and feng shui authenticity. The use of a fan splayed out in all its colorful design is another wonderful selection for a feng shui room. Many of these fans are collector items that can be showcased in a shadow box. Create a collection of framed fans on one wall with various Chinese symbols, motifs and animals. This can truly be wall art that serves multiple purposes such as a feng shui element, colorful interior design accessory, and a feng shui symbolic cure. 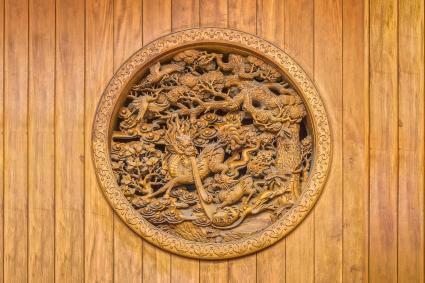 There are other types of wall art that utilize feng shui symbols in combination with a utilitarian purpose such as using the bagua design for a unique clock. You may find a use for a thermometer or barometer mounted in the belly of a carved dragon. If decorating your kitchen, don't forget the rooster motif is an auspicious feng shui symbol and is also a popular western kitchen motif. The rattan scroll painting was a popular home décor choice in the mid-1970s as more Chinese products became available to the western world. Cranes and Koi were very popular subjects as were mandarin ducks, cherry blossoms and Chinese characters. This style of wall art has seen a renewed interest. Probably the cheapest and easiest to find type of wall art for a feng shui touch is a poster. You can even make your own from a favorite photo or choose an abstract one to fit the style of your room. If you can't afford an object such as a mandala, then a poster of one is the next best thing. There are numerous choices of wall art when it comes to the yin yang symbol. You may decide to use a sculptured piece in bronze, copper, or some other metal. Deciding on which pieces of feng shui wall art you want to use in your home should be easy since there are so many choices available. You may wish to select a few wall art pieces that you can change for different seasons or move to other rooms when you need a specific element introduced. Just as feng shui principles teach that harmony and balance are the essence of feng shui applications in your home, so is the use of cures. Some people end up purchasing so many feng shui trinkets their homes resemble the shop from which they purchased them instead of creating the comfortable retreat that a properly designed feng shui home should be.